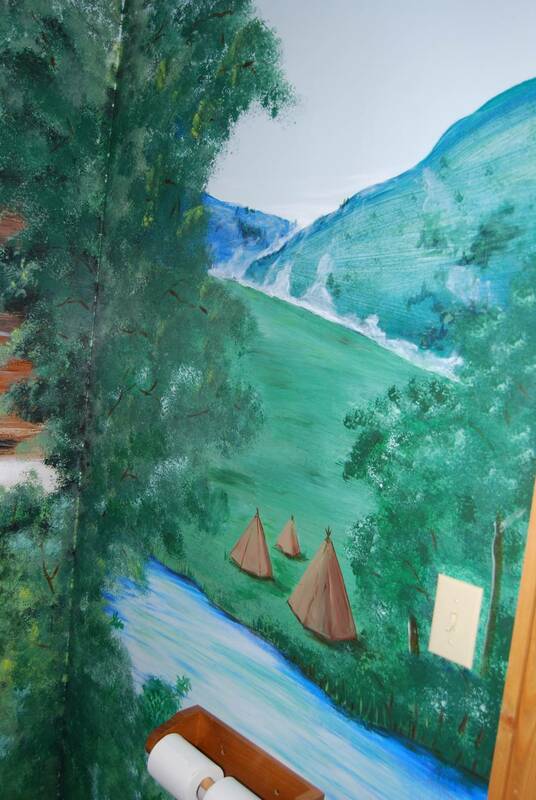 Murals and textures accent the natural beauty of a mountain cabin. 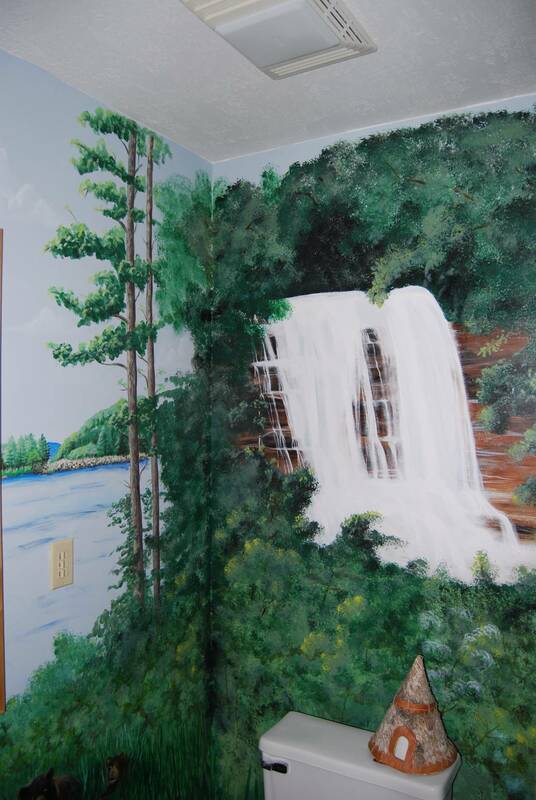 Forest scene with a waterfall. 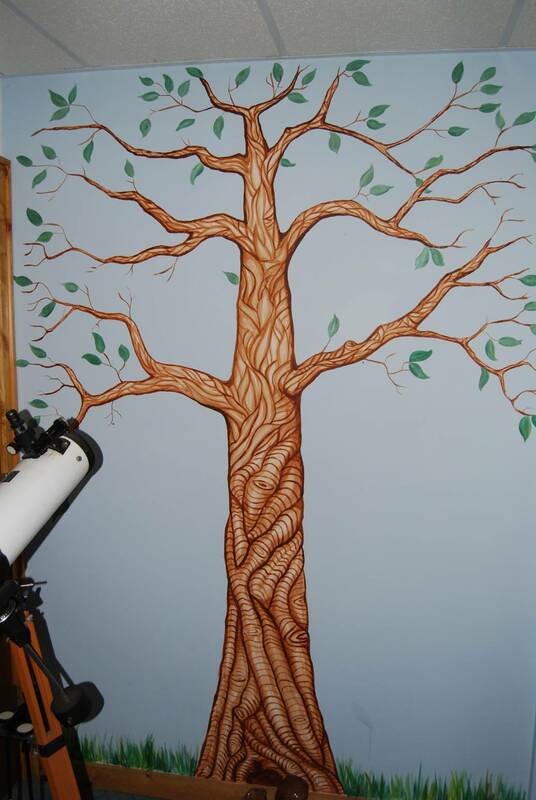 A detailed tree painted on a wall. 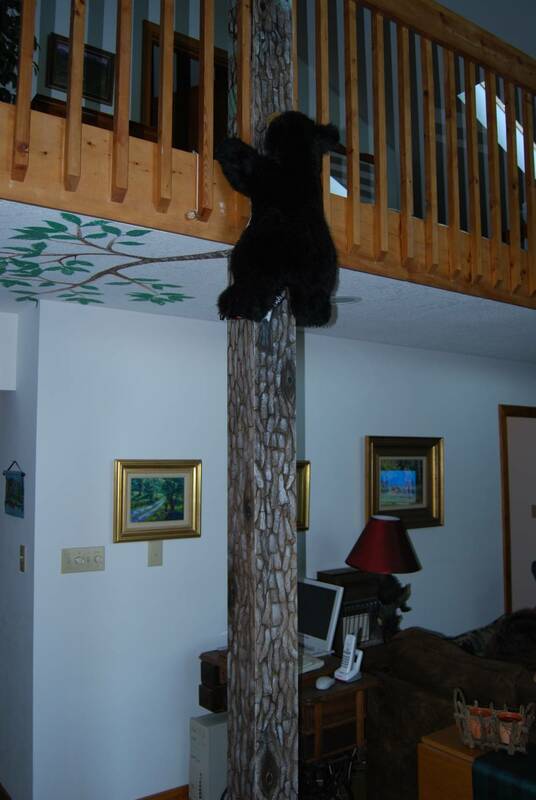 A plush bear climbs a painted tree. 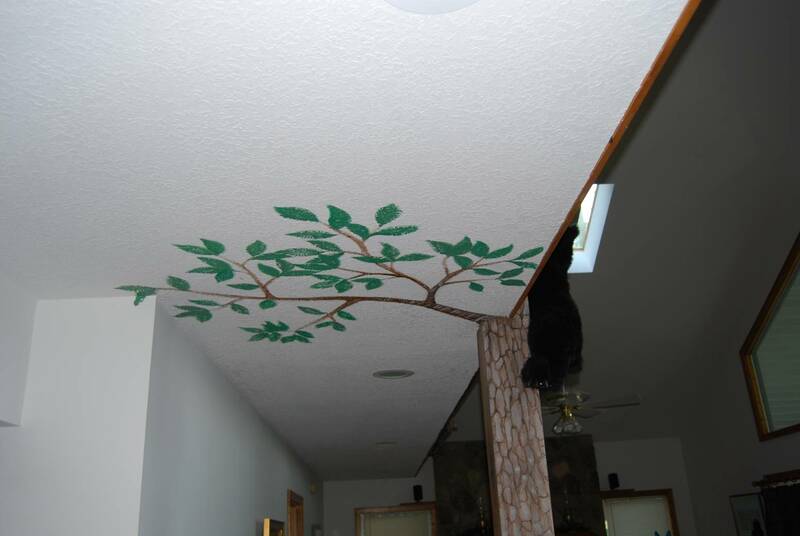 Top of the tree from below. 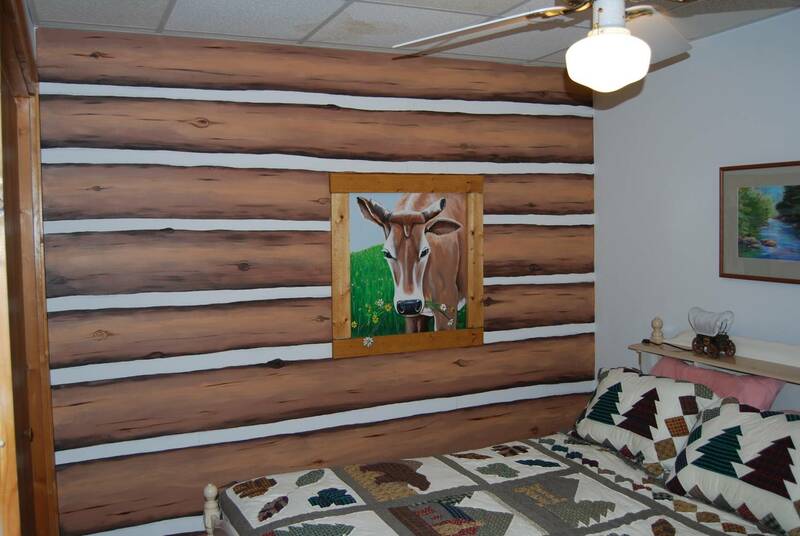 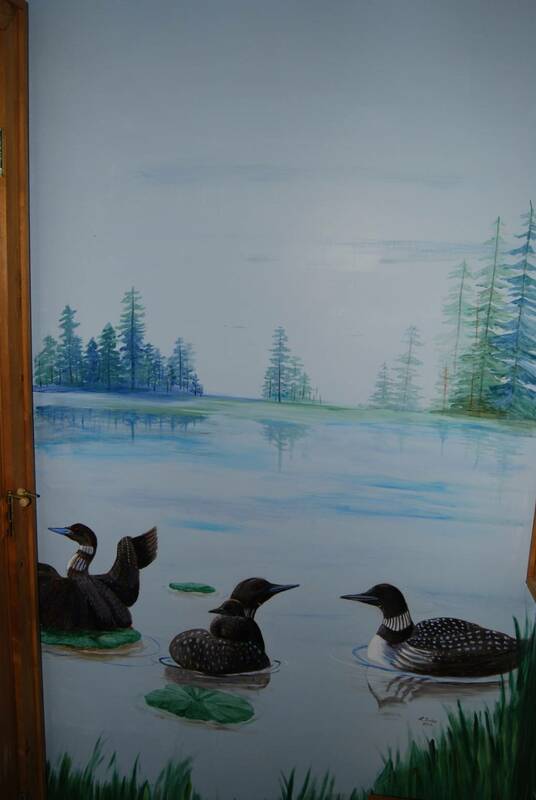 A normal room looks like the inside of a log cabin. 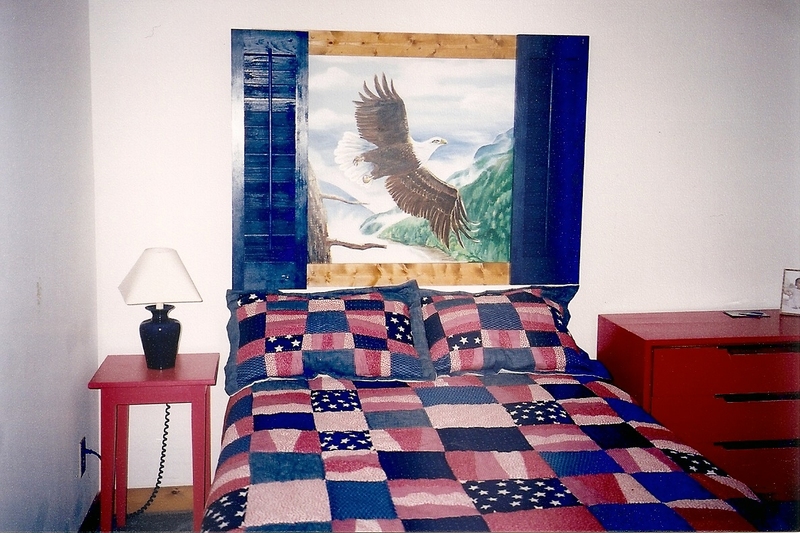 Faux window with eagle in a windowless basement room. 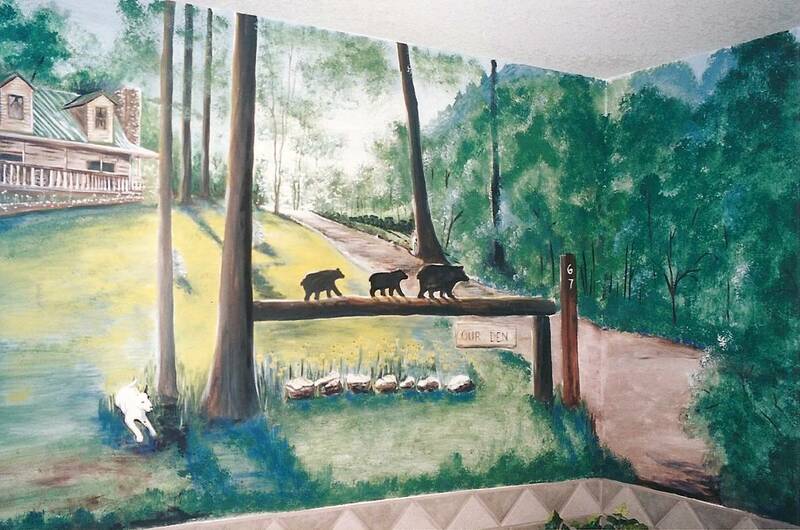 Cabin portrait (with bears) on a wall.